In 2005 Tony Frazer's UK-based press, Shearsman Books, published a selection of poems by Dirk Van Bastelaere. They were translated from Flemish by Willem Groenewegen, John Irons, and Francis R. Jones. 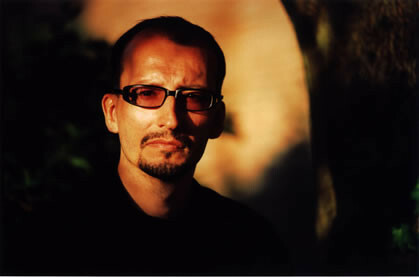 Dirk Van Bastelaere is a postmodernist. I read the book, The Last to Leave, and found its polysemy and pace enthralling. To me these poems seemed made by an intertextualist in pursuit of the limit-experience. Here was a poet who was unfastened and fast. He was influenced by John Ashbery and by Gertrude Stein, and often referenced contemporary art and culture - films, pop songs, literature and so on - an aspect that apparently led to his being attacked for "intellectualism" by critics in Flanders. "A hotel is a transit zone with many different rooms. For many poets staying at this hotel is temporary and they will, as time passes, be booked into another room. It all depends on the stars in ever-changing constellations twinkling in the sky. " Dirk is working steadily on a new book of poetry, and spending a lot of time working on Alphavillle, a platform for poetry, literature and cultural criticism in a multimedia environment. Most of the posts are in Dutch, but essays in English, German, French, Spanish are also welcome. The site was launched in June last year, and is aiming to become international. At the time of Dirk Van Bastelaere's publication in English in the UK, Karlien van den Beukel edited 'Low Countries', a feature on Belgian, Dutch and Flemish poetry for Jacket, issue 31. Karlien now works in creative Writing at London South Bank University. In 2010, two poems by Tonnus Oosterhoff translated by Karlien appeared in Jacket as an extension of the Low Countries project. She continues to translate this poet's work.